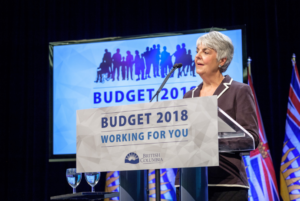 The provincial government has introduced new tax legislation as part of its BC Budget for 2018 that it hopes will cool British Columbia’s rapidly escalating housing prices. Here’s what you need to know if you’re a homeowner in the Capital Region or are planning to purchase property in Victoria and its surrounding communities, including the southern Gulf Islands within the Capital Regional District. Although Finance Minister Carole James says her government has yet to fine-tune the new tax legislation as it pertains to real-estate owned by Canadians who do not reside in British Columbia full-time, the 2018 budget has unveiled an annual real-estate speculation tax that will be levied against domestic owners of vacation properties to the tune of 0.5% of the home’s value in 2018 and 2% thereafter. A vacation property is described as a residence used sporadically by non-BC owners, or one that is otherwise not considered a full-time residence. If a property is occupied by a renter the speculation tax will not apply. If the owner pays taxes in British Columbia, the tax will also not apply. The coverage area for the new tax is comprised of Metro Vancouver, Greater Victoria and the Capital Regional District, the Nanaimo Regional District, Kelowna, West Kelowna and the Fraser Valley. At 0.5%, costs to homeowners will amount to $2,500 in 2018 for a home valued at $500,000 and $10,000 in 2019. The new tax and will be levied in addition to property taxes. Foreign buyers will also be affected by the speculation tax as described below. The foreign buyer tax, previously only levied throughout Metro Vancouver, has expanded to cover Greater Victoria and the Capital Regional District, the Nanaimo Regional District, Kelowna, West Kelowna and the Fraser Valley. The tax has also increased from 15% to 20%. Speculation taxes applied to Canadians who own property in British Columbia but do not reside in the province full-time will also be applied to foreign buyers. The annual tax, just as it applies to Canadians, will be 0.5% of the home’s value in 2018 and 2% of the home’s value in 2019. However, pre-sale condominium purchases by foreign buyers will not be directly taxed as part of the foreign buyer tax. British Columbia’s property transfer taxes are calculated at 1% for a property’s first $200,000 of fair value and at 2% for the remaining portion up to and including $2 million. The portion valued at over $2 million is taxed at 3%. Under the new rules, properties with a value of $3 million and above will see a new layer of tax that will push the taxable rate to 5% for a property’s portion of fair value over $3 million. Residential properties valued at $3 million and above will pay a higher school tax starting in 2019. The rate will be 0.2% on properties valued between $3 million and $4 million, and 0.4% on properties valued in excess of $4 million.